Shopping for electronics of any kind can be a challenge. Shopping for your children can also be difficult. 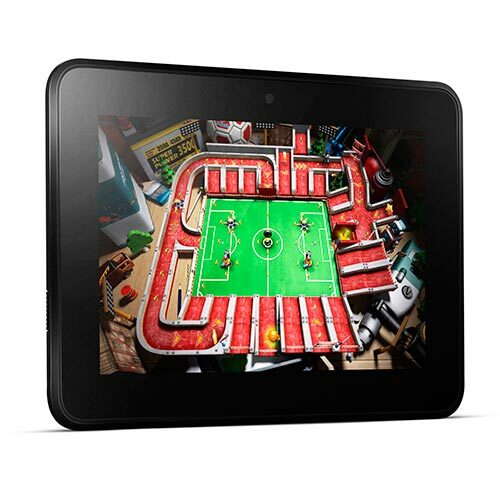 If you have thought about purchasing a Kindle Fire for your kids, this article can help. Here we will cover the different types of Kindle Fire models. This article will list the specs for each in an easy to read format so you can review the features that set them apart. We will also discuss some things you should think about before handing the tablet over to your child. Hopefully after you have read this article, shopping for a Kindle Fire for your children will be an easy and fun experience for you. 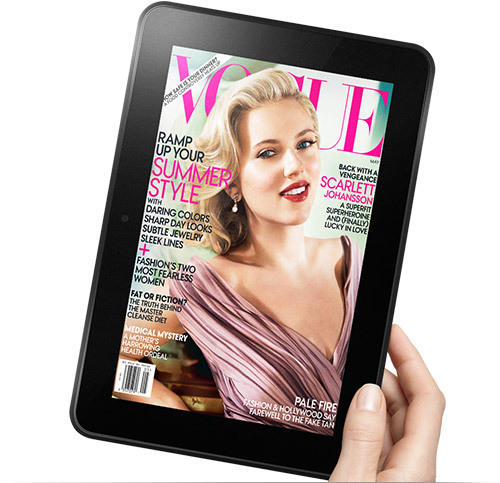 • It is widely considered that the Kindle Fire is one of the best types of tablets you can choose for your family. 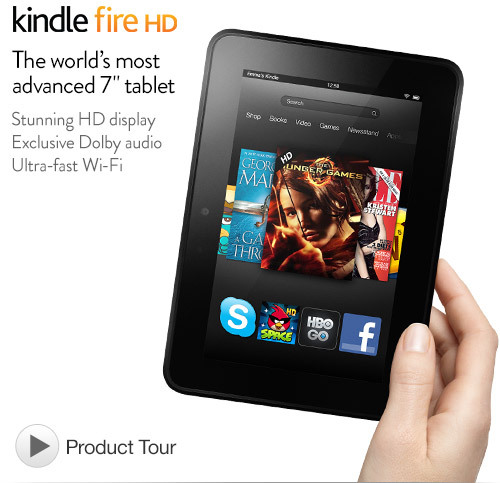 • Not only is the Kindle Fire a very family friendly value, it is a great way to get kids more interested in reading. • With the Kindle Fire’s eReader, you can almost fool your kid into thinking they are playing a video game! Ok, maybe not, but it can certainly make reading more fun for kids who are so screen oriented. • The Kindle Fire is a great choice for kids because it has a very easy to use, secure parental control feature. This will help you keep the content your children view and download age appropriate. • You can password protect purchases, video playback, wi-fi and you can even completely block access to the web browser if you want your child to stick to educational activities on their Kindle. • If you do not want to completely block out the Internet for your child and still want them to have some access, you can still block out things such as Skype and Facebook if they are a bit too young. Once you block them out, the links to those apps will not even appear on the Kindle until you change the parental controls. • If you will be allowing your child access to the Kindle Store, you will want to be sure they are looking at age appropriate titles. • Amazon makes an app called Kindle FreeTime that offers only kid friendly, educational content. • Another cool thing about the FreeTime library is that it can ensure your child will spend their time on the Kindle reading. This is because you will have to enter your parental controls password for your child to exit the app and access anything else on the Kindle. • Now to the best thing about FreeTime: the daily time limits feature. • With this, you can set limits for how much time your child spends watching videos, using other apps such as games and reading books. • Many parents find this feature especially useful. This would be a great app to download before giving the Kindle Fire to your child. Now that we have discussed the different things to think about before giving your child access to the Kindle Fire, it is time to go over the different type of models that are available. Here we will discuss four different types of models for you to consider. 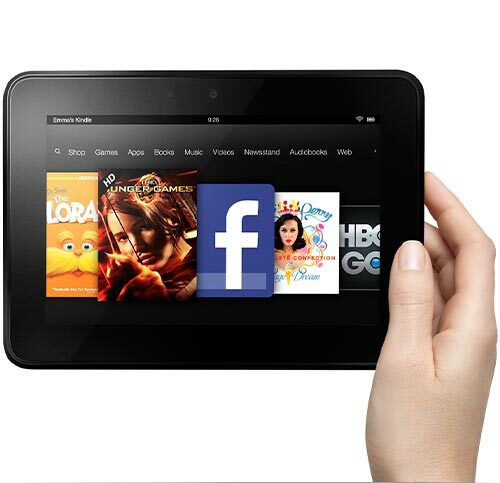 The Kindle Fire HD 7″ tablet is the most popular model on Amazon. It has a 7 inch HD display, dual-antenna wi-fi, Dolby Digital audio and comes in two different sizes: either 16 GB or 32 GB. The size you should get depends on how much storage you think your child will need. 1280 x 800 HD 7 inch display that features anti-glare technology for the deepest contrast and richest color from any angle. The best surround sound with Dolby audio. 35 per cent faster video streaming and downloading with a great dual-band, dual-antenna wi-fi (the world’s first). A great dual-core, high performance processor (1.2 Ghz) for the fastest performance. More than 23 million songs, TV shows, movies, books, magazines, audiobooks and wonderful apps that include Netflix, Twitter, Facebook, Pandora, HBO Go and much more. The best support for all your apps. An awesome HD camera on the front that you or your child can use for making video calls with Skype or taking photos. Free unlimited storage in the cloud for everything you get on Amazon. Kindle FreeTime comes pre-loaded on the tablet to make it great for your child. Kindle FreeTime Unlimited is available for a small monthly fee. Prime Instant Video and the Kindle Owners’ Lending Library are both also available for a small monthly fee. Purchase your Kindle Fire on Amazon and also receive 500 Amazon Coins to redeem for apps and games for your Kindle. The largest, highest resolution HD display you can get on any Kindle. With a 8.9 inch display, it is perfect for entertainment and gives you the deepest contrast and richest color of just about any tablet out there. You get the best sound quality with the crispest, custom Dolby Digital audio. Offers more than 23 million TV shows, movies, songs, books, magazines and audiobooks in the Kindle Store. Offers the best, most popular games and apps including but not limited to Pandora, Minecraft, Pinterest, Netflix and Cut the Rope. Streaming videos and browsing the web is made ultra fast with the best dual-antenna, dual-band wi-fi. Built-in HD camera in the front display for Skype video calls, photos and more. 500 Amazon Coins for Kindle Fire owners you can redeem in the Kindle Store for games and apps. 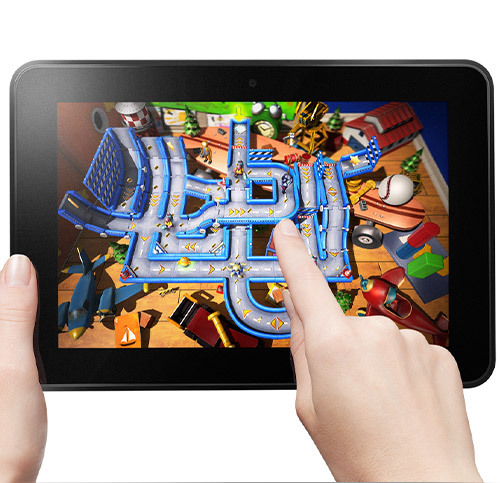 The Kindle Fire is hands down the best tablet for your family and the perfect for kids’ entertainment. It has twice the memory of the original Kindle, longer battery life and is 40 per cent faster. Web browsing and streaming video is ultra fast, just like the other Kindle Fire models. Also offers the most popular of games and apps such as HBO Go, Pandora, Angry Birds, Facebook, Netflix and Twitter. Comes equipped with Kindle FreeTime so you can create profiles for your child with parental limits. Vibrant color magazines and a huge book selection are available. Over one million titles are less than $9.99. Like the other Kindle Fire models, it offers more than 23 million songs, TV shows, movies, books, magazines, audiobooks, games and apps. The owner of any Kindle Fire model receives 500 Amazon Coins for redemption in the Kindle Store for games and apps.